Sayulita has to offer. Luxury Sayulita Surf Hotel and Villas is an inspired collection of 26 oceanfront villas, each uniquely designed and individually decorated – a wondrous fusion of creativity and old world charm. Sayulita is renowned for its rare black and white beaches and amazing surfing conditions. Surfing in Sayulita offers a fantastic addition to any vacation to the village. The waves are perfect for all skill levels including beginners (first time), intermediate, and advanced surfers. Waves break in the bay all year round with the best months being December through early April, as that is when the north swells hit. Most villas boast stunning views of the ocean and coastline, lush jungle hillsides, and the surfing / fishing village down the road. You will never want to leave – but if you do its only a few steps to gold-sand beaches and a flat 10-minute walk to town. On-site amenities such as an oceanfront restaurant and bar, heated infinity-edged saltwater pools, an open-air yoga studio / meeting space, and a jungle spa. Nestled at the southern end of Sayulita’s picturesque bay. It is only a 45 minute drive from the Puerto Vallarta International Airport (PVR), but a world away from hi-rises and cacophonous crowds. Sayulita is known for its relaxed, hip attitude. You, too, will want to slow down to enjoy “La buena vida” at Sayulita villas. An inspired collection of 26 oceanfront villas, each uniquely designed and individually decorated – a wondrous fusion of creativity and old world charm. Simply enter this villa to experience jaw-dropping ocean views through wall-to-wall sliding glass doors. The large open plan offers a king-sized bed, couch, private bathroom, a sitting and dining area and a kitchenette. This handsome, newly remodeled studio offers everything you need and more, including an inspired, well-equipped kitchen, king sized bed and a spacious bathroom. Arrive at Buena Vida from the garden side and fall asleep to the sounds of the tropics. Romantic and captivating… Linda features luxurious furnishings under a lovely boveda ceiling ringed with mini lights, a king-sized bed, kitchenette – and a generous indoor soaking tub. There is an ocean view, framed by foliage, from your private terrace. An easy ascent to this delightful honeymoon Villa. Steps away from the ocean’s surf, La Costa is a beautifully updated open-plan villa with charming appointments, a palapa roof and a wonderful Mexican vibe. Up only a single flight of stairs, it offers a queen-sized bed and a perfect-for-lounging daybed swing. 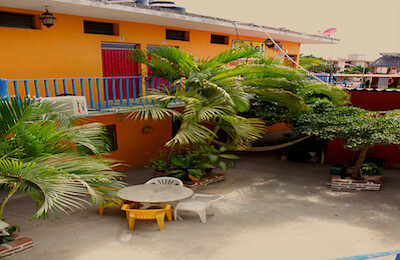 A delightful, hidden gem… Piedra offers a king-sized bed, kitchenette, and relaxed sitting area. Or lounge on your private terrace to soak up the ocean view framed by tropical palm fronds. A perfect spot for a relaxing getaway. This handsome, newly remodeled studio offers everything you need and more, including an inspired, well-equipped kitchen, king-sized bed and a spacious bathroom. This villa features a charming private terrace with a small dipping pool, from which you’ll enjoy a lovely ocean view. Bonita simply oozes romance… It’s corner location and spacious terrace offers intoxicating, endless ocean views in every direction. A lovingly decorated, open concept space includes a king-sized bed, kitchenette with glowing, under-lit bar and several lounging / sitting areas. From this vantage point, you’ll enjoy all the natural beauty that Sayulita has to offer. A perfect fusion of indoor-outdoor living, comfort and style… Relax in the shade under a palapa roof or lounge in the sun after a dip in your own personal dipping pool. This charming, 1-bedroom villa was designed to take advantage of an amazing view that inspires painters and poets. A fusion of elegance and whimsy… The circular floor plan is enclosed by curved glass doors that open onto a complete outdoor kitchen, a funky water closet, several relaxed lounging areas – and a view to the ocean. A periphery of palms provide privacy. Escondida is very accessible; its on the second floor with NO stairs to climb. Lovely, relaxed, and very unique… with a fully separated glassed-in porch with sofa bed that can provide additional sleeping for one or two more people. A private bathroom, makes everyone’s stay more comfortable. Las Hermosas features a king-sized bed and a spacious sitting area for lazing or conversation. This villa has a partial view of the mountains, beach and garden and is easily accessible (only one flight of stairs). Oceana breathes old-world charm: Arched doors, windows and balconies reveal breathtaking views of the beach, town, and bay from all rooms. Tastefully furnished and offering a fully equipped kitchen, a generous dining and lounge area for relaxing or comfortable entertaining, a large master bedroom, two baths and a study, this 1449 sq. ft. villa will feel like “home”. Access through a gated private entrance and a short set of steps. High on a hilltop with an unobstructed, jaw-dropping 360º view of just about everything… Roll out of your luxurious king-sized bed to enjoy your coffee on the top-of-the-world terrace and absorb the best views Sayulita has to offer. This villa is private but can easily be combined with Paraiso’s adjacent villa – adding 4 bedrooms and 2 baths to sleep up to 9 adults. A corner location boasting intoxicating, endless ocean views in every direction… Peninsula features an expansive terrace and open concept living space with a king-sized bed, kitchenette, and protected lounging / sitting areas. From this vantage point, you’ll enjoy all the natural beauty that Sayulita has to offer. Villa Serena enjoys its own private entrance at ground level. Up one flight of stairs you’ll find an enchanting open-air living space with a large, private terrace that overlooks the entire Sayulita Bay. Serena also features a kitchenette and a romantic dipping pool off the separate, king-sized bedroom. NOTE: Serena can be combined with Mar y Sol to create a 5-bedroom unit. Adding Armonia as well creates one huge loft-like space sharable by up to 11 guests (with 5 bedrooms and 4 baths). The 3 terraces combined will provide an event space for a gathering of up to 60 guests for dinner, cocktails or reception. An inspired, spacious corner villa with expansive wrap-around terrace… showcasing stunning views of the ocean, coastline, and lush tropical foliage. Cross breezes and various vistas waft and weave through the open floor plan. There’s a a fully equipped kitchen and a separate, king-sized master bedroom – also boasting a king-sized view. A spectacularly remodelled villa with bewitching ocean views… An impressive feature wall showcases a dramatic waterfall with exquisite lighting. Armonia boasts a full kitchen and large terrace, and two bedrooms with ensuite bathrooms. Access this villa through a private, gated entrance and up a single flight of stairs. NOTE: Armonia can easily be combined with Mar y Sol (adding 2 bedrooms and 2 bathrooms) and Serena to form one huge loft-like space sharable by up to 8 guests (with 5 bedrooms and 4 baths). The 3 terraces combined will provide an event space for a gathering of up to 60 guests for dinner, cocktails or reception. Delight in the ocean’s proximity and crashing waves from your large, covered terrace and personal dipping pool… Follow private, natural, free form stone steps to your well-separated, 2 bedroom, 2 bathroom oasis. Access to one of the bedrooms is through a separate, lockable entrance from the terrace. Elegant yet relaxed indoor-outdoor living with captivating views of the ocean and Sayulita’s main beach. Corazon is lovingly decorated with an exotic Mexican vibe and features a full, well-appointed kitchen – including a built-in gas BBQ! – and a private jacuzzi on the terrace off the master bedroom (with ensuite bathroom). The second bedroom offers 2 twin beds, and a second bathroom conveniently accessible to it and to the principal space. Expansive, captivating ocean views throughout this open concept, open-air living space. It offers two well-separated bedrooms, each with an en-suite bathroom, a kitchen for preparing light meals, and a sleeping option in the entry foyer with a double-sized day bed. Up to 6 people can share this glorious space. Jaw-dropping views to the horizon from your terrace and private infinity pool… Enter this exquisite villa through a large, private courtyard – with its own parking area just beyond. Lovingly furnished with Mexican artwork and antiques, this traditionally styled villa can sleep up to 4 people and includes a well-appointed kitchen. Elegant, open air living / terrace boasting majestic ocean views of Sayulita bay… Mar y Sol is a large two-bedroom villa that is easily accessible via a single flight of stairs. It features a full kitchen and several lounging areas – whether you choose to relax in the sun or shade – as well as two well-separated master bedrooms with ensuite bathrooms. Aptly named for its intoxicating views of the Pacific ocean… from your large, private terrace and its generous, private pool… Inside, Pacifico oozes old world charm: under a glorious boveda ceiling are 2 well-separated bedrooms with ensuite bathrooms, tasteful furnishings and a full kitchen, dining room and a lounge area for relaxing or comfortable entertaining. There are no stairs to Villa Pacifico: You arrive via a short cobblestone lane through an open courtyard. This villa even offers reserved golf cart parking, if needed. Romance personified… An expansive terrace boasts a 180-degree ocean view and a fully-equipped kitchen. The organic, open plan features 2 bedrooms and 2 baths under gorgeous boveda ceilings, natural rock walls; a tree trunk even grows through the bathroom floor. This magical villa was designed by an artist, and showcases artistic touches throughout. Cinema is inspired by the movies and the film industry. An open-air, two-story villa with a soaring palapa roof and spectacular view of the entire Sayulita bay… Cinema features two master bedroom suites on the main floor and a third loft bedroom upstairs. Enjoy open-concept living with a full kitchen, living room and dining room – and decor inspired by the movies. Take in the huge ocean views while soaking in your BATHTUB (indoors), or small swimming pool (outdoors). Cinema can easily accommodate 6 people. The crown jewel of the resort… Perched atop the highest point, this breathtaking villa showcases a dazzling, unobstructed 360º view of the ocean and the town of Sayulita. No expense was spared in the recent remodel that artfully combined old-world authenticity with modern conveniences, and expanded the floor plan to 4,160 square feet of indoor/outdoor living space. La Gran Villa has three master bedroom suites, a gourmet kitchen that most chefs would envy, a media room, an expansive terrace, a spectacular infinity pool, and an outdoor jacuzzi for when champagne doesn’t provide quite enough bubbles. It’s hard to imagine a more beautiful setting for your wedding night, a special family occasion, or a getaway with friends who enjoy the finer things in life. You can hear the sounds of the ocean and watch the sunset over the Pacific while you unwind. 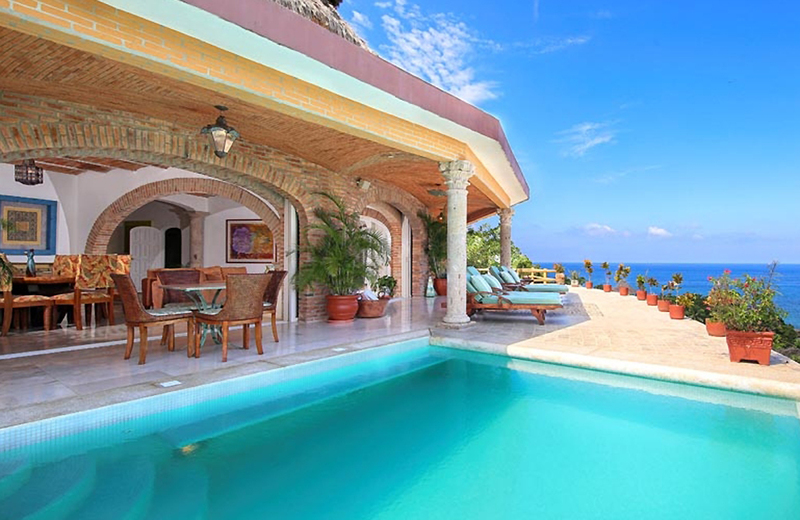 La Gran Villa can be combined with Villa Paraiso to comfortably accommodate up to 15 people. Both villas have a magnificent terrace which enhance the indoor and outdoor living space. Our concierge will be happy to arrange activities for your group to enjoy, creating lasting memories of your experience at La Gran Villa. This lovingly remodelled five-bedroom, three-bath villa (which sleeps up to 9 adults) is the perfect casual setting for group celebrations like family reunions, girls’ weekends, surfing getaways and yoga retreats. The soaring palapa roof creates an open-air, open-ceiling design that is most suitable for adults who are not complete strangers. If the size of your group requires something larger, please enquire about combining Paraiso with La Gran Villa. Situated on different levels in the same building, these two villas can easily accommodate up to 15 adults. Surfing in Sayulita, Mexico offers a fantastic addition to any vacation to the village. The waves are perfect for all skill levels including beginners (first time), intermediate, and advanced surfers. Waves break in the bay all year round with the best months being December through early April, as that is when the north swells hit. The hotel staff will be glad to arrange surfing lessons according to your level. Approx. price per lesson, including all the material – 50 USD. The resort is proud to offer you a complimentary yoga class with the on-site yoga professional. To schedule your free session, please sign up at the front desk. Villas displays artwork from celebrated local artists. Every work on every wall in every villa is an original, and many of them showcase the people and beauty of the Nayarit region. If you’re interested in meeting some of the artists or seeing more of their work, let the hotel staff know and they will see what can be done. Sayulita is located 36 miles north of the airport. The closest International Airport is Puerto Vallarta International Airport (PVR). Sayulita started as a tiny fishing village on the coast of Mexico and is slowly growing as a tourist destination. 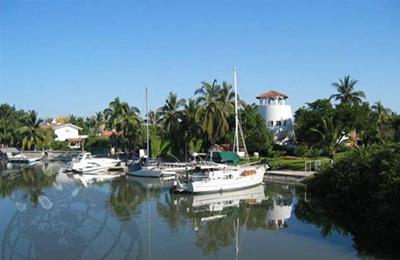 Located just north of the Bay of Banderas region, the town is relatively new. The Bay of Banderas region was not settled by colonists until the 1800s, the dense jungles and remote geography made it difficult to access. Sayulita itself was not established officially until 1941 when the first settlers trekked in over the mountains. The town has grown to 4,000 residents, mostly due to a recent highway connecting the town to Puerto Vallarta. Sayulita hugs the coast closely, reaching about a mile long on the Pacific Coast, but only extending inland for a few blocks. Still a mecca for beginner surfers of all ages, the quaint town attracts upscale tourists with its numerous art galleries and restaurants as well. Sayulita has a curious eclectic quality, frequented by native Cora and Huichol peoples, travelling craftsmen as well as international tourists. A recent government ordinance prevents the cutting of trees in order to maintain the enchanting feel of this once undiscovered tropical paradise. Sayulita’s location on the Central Pacific coast of Mexico, hemmed in by jungle covered mountains, gives it a sub-tropical climate with only two seasons, dry, fairly warm winters (November to May) and hot, semi-humid wet summers (June to October). Sayulita is located 36 miles north of the airport. Licenciado Gustavo Díaz Ordaz International Airport (PVR) is an international airport located at Puerto Vallarta, Jalisco in Mexico. Otherwise, check flights to Mexico City or Guadalajara and then catch a domestic connection to Puerto Vallarta. The most common way to get to your Villa is to request an airport transfer at additional fee. Mention if you want a stop to buy groceries and the driver will wait for you. Ignore all the hawkers offering you a ride; go instead to the official taxi booths and purchase a ticket, it will cost approximately US$75 or equivalent pesos, mention if you want a stop to buy groceries, the taxi will wait for you. You pay for one way. After clearing immigration and customs, walk to the front of the airport building ignoring all the offers for taxi. Use the pedestrian bridge over the highway and look for the small white and green busses. Every 15 or so minutes a bus will say Sayulita on the front window sign. The fare is 25 pesos (approximately US$2.00) The ride is a little bumpy but fun. "My initial reaction upon entering Villa Corazon was: Wow! Is this spectacular, open air villa really our room(s)? (We are mere mortals, but once adjusted, were more than thrilled to live for awhile like the Kardashians on vacation). This villa is the perfect refuge (and the perfect walking distance) to the charming, often chaotic, yet unforgettable town of Sayulita. Mexican art, local crafts, the massive wood doors (and hand carved door) and color make this a distinct and special villa. The living area and kitchen are all open to the sea; also, the master sliding doors open and what a luxury to live and sleep with the lap of the waves and the rooster in town crowing in the morning! Alas, this villa has life! This villa is perfection! (Our all inclusive resort stay after this should have been amazing, and yet, after this, just seemed dry & lifeless). This definitely spoiled us. " "The staff at Villa did an amazing job and helped to make our stay a wonderful experience, they were professional, helpful, friendly and accommodating. Every detail was handled for us from transportation to and from airport, golf cart rental, excursions and anything we needed during our stay. The grounds and our villa were spectacular, we stayed in the Gran Villa and it was one of the most beautiful places we have ever stayed. Very clean, beautifully decorated with breath taking views. We had a great vacation and I would recommend Villa to anyone looking for a unique vacation experience. Great location, easy walk to beaches and town. Very safe town, we were never uncomfortable when we left the resort and we went into every night. All excursions were nearby as well. O Restaurant, the restaurant located in Villa was also terrific! Thank you for making our stay a wonderful, memorable experience." "Loved staying here with my friend over the holidays. Quiet, clean, quaint. Great service and heated pool overlooking the ocean. Best of all, the complimentary yoga with tanis. It was relaxing but challenging at the same time. Definitely recommend making time for it during your stay." "Not only is this the most wonderful venue for the most perfect wedding It was also the best get away ever. From the moment we arrived, we were pampered, spoiled and catered to with smiles. Each villa is uniquely different, and the option to fall asleep to the sound of the ocean is unbeatable. Yes there can be a lot of stairs, depending which villa you choose, but there are rests and breathtaking scenery along the way. The pool and meditation gardens are beautiful. Access to town is well within walking distance, as is the beach. You won't run out of things to do, or restaurants with great food. Sayulita and Villa will become one of your must return to vacation spots." "This resort is literally heaven on earth! We could not get over the incredible service (Ricardo, Francisco, Karen) and the unique ocean view rooms. Every villa is entirely different but stunning in its own way. We loved the eclectic yet modern feel of it all. We had all of our wedding guests stay there, and they all raved about it. We will be back again soon! My new husband and I are already missing it. " Dream wedding! Trip of a lifetime! "We got married here this year and Karen was a dream to work with! Her and her staff are incredible and really go the extra mile to make all your dreams come true. They are great at what they do, everything was perfect. The entire staff here is so helpful and kind and the resort is beautiful tucking into the hillside. We couldn't have been more happy and will be returning here year after year! Room Tip: Gran Villa is so worth it! All the rooms are beautiful in their own unique way." "I can't say enough about our recent stay at Villa. The front staff was exceptionally friendly and helpful. We rented the Cinema bungalow for our family of 5 spacious, and comfortable with lots of character. We came for our son's wedding. The ceremony was in the lower courtyard and the reception was held at the Grand Villa incredible. Again, the staff was so professional and helpful. I would highly recommend this place to anyone wanting to visit this little piece of paradise."